Very few people know the story of Hans Jonathan, a free black man who was born into slavery, declared himself free, escaped the law, and lived and raised a family in early nineteenth-century Iceland. His story is improbable, the stuff of novels. And yet, it’s all true. In The Man Who Stole Himself, Gisli Palsson unspools the incredible life story of Hans Jonathan (also known as Hans Jónatan) in stunning detail. Today, Hans has become something of an Icelandic icon, claimed as a proud and daring ancestor both there and among his descendants in America. 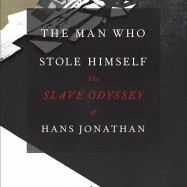 Palsson brilliantly intertwines Hans Jonathan’s adventurous life with a portrait of the Danish slave trade, legal arguments over slavery, and the state of nineteenth-century race relations in the Northern Atlantic world. Throughout the book, Palsson traces themes of imperial dreams, colonialism, human rights, and globalization, which all come together in the life of a single, remarkable man. Hans literally led a life like no other. His is the story of a man who had the temerity—the courage—to steal himself. Direct descendants of Hans Jonatan, who live locally, will also be in attendance. 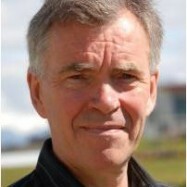 GISLI PALSSON is professor of anthropology at the University of Iceland. He is the author, editor, or coeditor of many books.